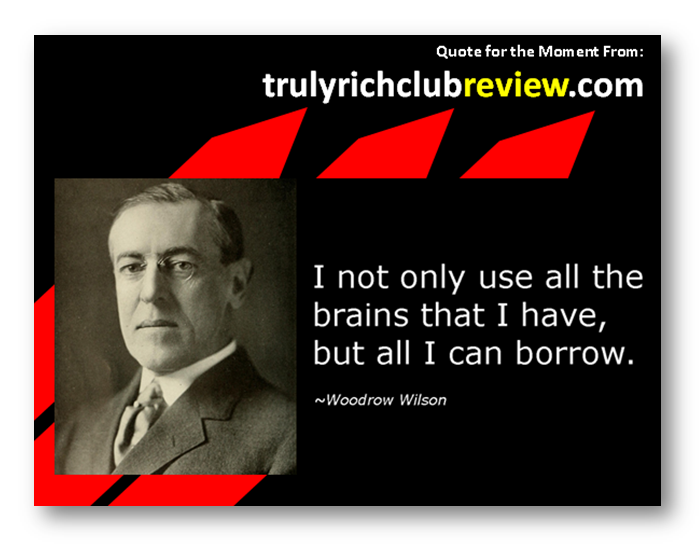 The 28th president of the United States Woodrow Wilson said it right when he said, “I not only use all the brains that I have, but all I can borrow.”, beautiful isn't it? We really need to work with other people, collaborate ideas, research on other people good concept, ideas and practices. 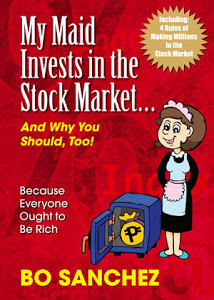 When it comes to stock market strategies in the Philippines, understand all the details, ins and outs of stock market investing is not easy, for me I cannot do it on my own. That's the one reason I subscribed on the Truly Rich Club, but then I am not purely relying in all the inputs coming from the Truly Rich Club. I also do my own research. For the newbie on stock market investing in the Philippines, to those who wanted to enter in this arena, here's some tips I read from online news about some steps to get you started on investing in the Philippine Stock Market. Before you begin to invest in stocks, it is important to know what you need and want, and to determine if equity investing is for you. Before investing on anything, know your financial objectives vis-à-vis your current financial assets and your life stage. This will give you an idea as to how to craft your investment strategy. The investment strategy of a 50-year old retiree with real estate, money market placements, and insurance plans will obviously be very different from a 21-year-old who has just received his first bonus. Once you have an investment strategy in place, then you can decide on what investment vehicles are best for you, including equities. Stock investing, it must be stressed, is not for everyone. Equities carry risks, and the money you put into shares of stock is not insured by the government. Therefore, if you are not in a position to lose part or all of your investment money, stocks may not be a suitable option for you. Equities are best for those who are willing to take on a degree of risk in exchange for larger gains. What other investments do you have? Investing in equities should be seen in the context of your entire investment portfolio, with a goal to diversify your holdings in order to manage your risks. Studies have also shown that equities tend to grow in value over a long period of time. Stocks are best for those without time pressures to deal with. Do you have the time and the capacity to manage your stock portfolio? Stock investing requires understanding how the market works, as well as the companies whose shares you intend to buy. If you do not have both, then you should look for a broker to help you manage your stock transactions. The Philippine Stock Exchange has a list of brokers that you can refer to. There are also brokerage houses that allow you to do online trading, which some find to be a more convenient way of handling transactions. Some banks also offer stock broking services. Brokers differ in the range of services they offer, as well as in the minimum investment amount that they require. The larger brokerages servicing institutions and high-net-worth individuals typically offer research services on top of trading, while smaller ones can simply offer trading services. Ideally, your broker would take the time to ask you about your investment goals and ask about your appetite for risk. 3. Open a trading account. Your selected broker will give you a list of requirements to fulfill. Make sure you understand its conditions well. Take note of transaction fees and other rules, like how to transact. If you will use an online trading platform, take the time to familiarize yourself with how it works. Periodically monitor the movement of the stocks in your portfolio. Closing prices may be monitored online, on TV and in business newspapers. Keep yourself informed of any dividend announcements, which may entitle you to cash or additional shares of stock. 5. Evaluate your investment strategy regularly. Does it still dovetail with your financial goals? From time to time, you may wish to continue to add to your stock portfolio, or if it is time to allocate some funds to other investment platforms, based on changes in your personal circumstances and goals. One last but very important point: Do not think of stock investing as a form of gambling. While you might have heard of people who have amassed a fortune overnight over a single stock, this is the exception and not the rule. Investing in stocks and in everything else requires an understanding of your goals, patience, and a lot of ground work. This point will be the common thread in this series of four articles on how to get started on investing in different financial products."